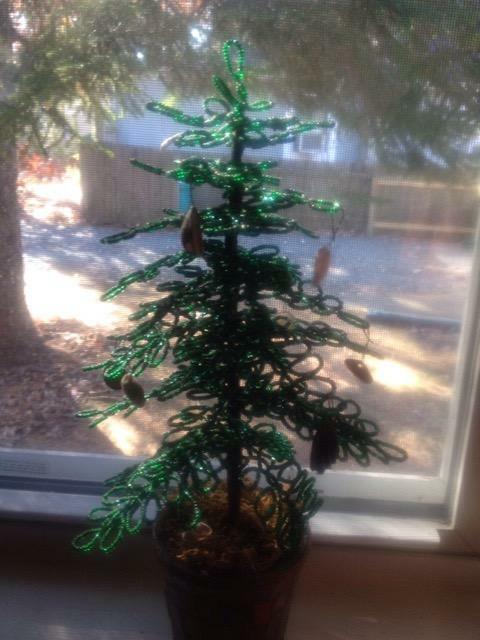 Joanne has made this beautiful beaded tree to add to our Christmas decorations, so today we’d like to share some of our other favorite Christmas crafting ideas that we’ve found around the web. 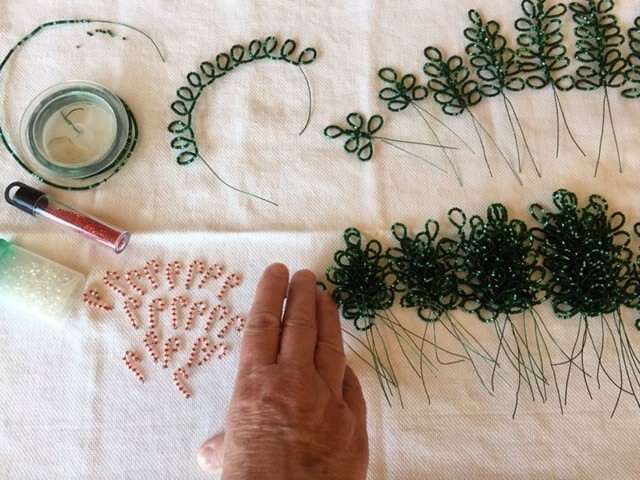 First off, here are some photos of Joanne’s beaded tree, which started this all! Joanne making the many beautiful branches. And here are some great quick projects perfect for gifting or just for getting into the holiday spirit! These projects are great for using up small amounts of wool left over from other projects. 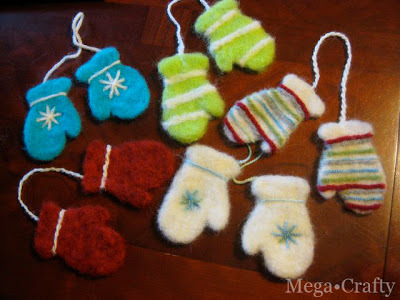 Make these needle felted mittens using cookie cutters from Mega Crafty. They are perfect for gifting and decorating! 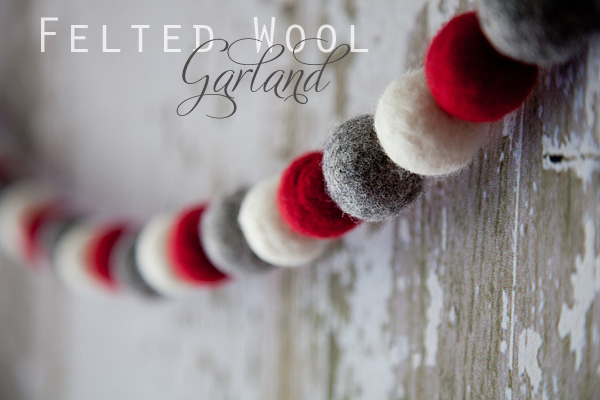 This Felted Wool Garland is great for decorating, and this project is easy enough to do with the young ones to keep their little hands busy during school vacation! Get the tutorial from Whipperberry. 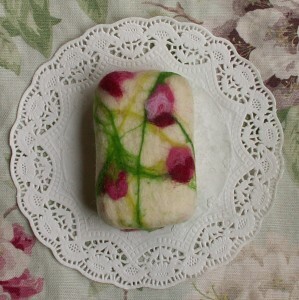 These beautiful felted soaps are also easy to make and perfect for gifting! Learn how to make your own artisan felted soaps from The Nest. This entry was posted in Fiber. Bookmark the permalink.